As the #1 Colorado Towable RV dealer in the Denver area, we sell new and used rvs, travel trailers, toy haulers, used toy haulers, and fifth wheels all over the USA and Canada due to our discount prices! 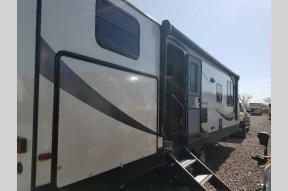 Whether you are looking for RVs for sale in Colorado, Utah, New Mexico, Canada, Texas, California, Idaho, Arizona, North Dakota or any other state out there, this Denver, Colorado RV Dealer is ready to save you thousands on your next RV purchase! We sell TOP manufacturers such as Thor RV, Keystone RV, Dutchmen RV, Airstream Trailers, and Heartland RV We not only have a great selection of RVs but we also provide you with the best RV service and RV parts department's to help keep your RV in great condition. If you need help making your dream of owning an RV come true, our RV financing department can help you get the lowest monthly payment possible. We are your one stop lightweight trailer, toy hauler, fifth wheel, and travel trailer RV dealer located in Denver, Colorado! Did we mention that Denver is a top 10 city to visit in the USA? That's right, plan a mini vacation when you pick up your RV and explore our beautiful city! Contact us for a quote and let us save you thousands!